I'd like to leave creative license to this one, but in case you wanted to incorporate Nimae doing some sort of salute, feel free. Nimae doesn't have to be in the siggie, so work with whatever you wish. In case multiple people work on it (I'm not professing that this will be that popular, but just in case), I'll add each one to my rotation. Thanks much, and I'm happy to answer any additional questions! 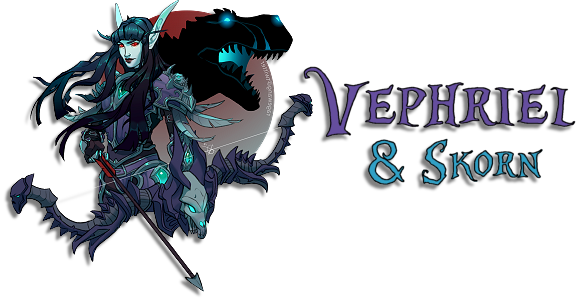 Thanks to Xakaal, Kurenio, Vephriel, Serenith, Sookie, Rongar, & Mossed for the amazing sigs (rotating), and to Serenith & Sookie for the (rotating) avatars! Awww, that poor little bat! He will not be forgotten in vain. Since I don't really feel like typing it all out again. Have at it those who want to! More thank you's for the work already completed. 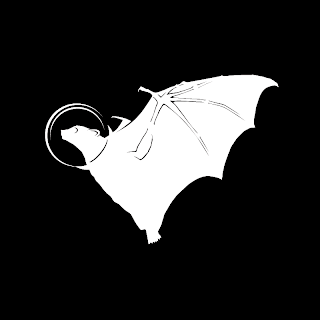 D'aww, I'd never heard of the SpaceBat story before. Ahamagad! That's GORGEOUS, Vephriel!!! Thank you so much, it does him justice!!! The background is a lovely shade, and the font matches and complements SpaceBat beautifully!!! EDIT: Added and running in rotation! Veph that is a gorgeous gorgeous signature. Poor little bat. Cannot believe they just let the poor thing die. So sad. Off topic I know but had to comment. I know, it's a sad story... It sounds like from their report the bat didn't land on the shuttle until it was cleared for take-off. They hoped it'd just fly away once it started lift-off, but other reports indicate he probably held on up until the upper atmosphere. If so, he's probably the only bat in history to go so high. Poor little dude! Awww that's lovely, Kurenio!!! I love the gear you chose, it reflects the colors and theme so well--and the wording is lovely! Awesome work, thank you!!! EDIT: Added to the rotation! Man, I wish I could work with graphic design like everyone can here on Petopia. These siggies are absolutely gorgeous. I'd like to request a sig as well, please. Here is my character's armory: http://us.battle.net/wow/en/character/k ... rra/simple and all current gear is fine other than tabard and ranged...Tabard of Summer Skies, and Steelhawk Crossbow (from Attumen in Kara) or Amber Messenger from BRC (if it's too hard to get her changed from a bow to crossbow) please. Helm is off. Alternately, cloak off and Ramkahen tabard would work too, whatever is easier for you. Furball and Spike are her original two primary pets, with (bronze) Madexx running a very close third. As far as setting, Davarra's a NE, always had a strong fascination with reaching the Emerald Dream, so I can provide a screenie for that, but if that's not really practical, anywhere on Teldrassil is great. Anything beyond those basics, surprise me. Thank you in advance, whoever picks this up! Sig and av by the very talented Kurenio! @ Davarra I'll add it to my list, but I have a few request at the moment so you won't get it right away. I'd like to do these all, but you might have to wait a bit as I'm taking a break and I have some rl stuff to do.